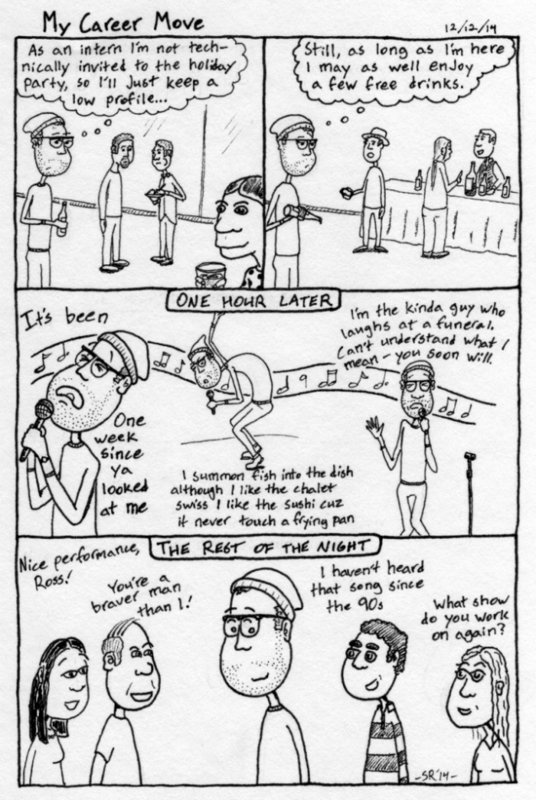 Oh look, another Life in New York comic. Though this really could be set anywhere that people lurk about wondering why they aren’t as fun as everyone around them. I apologize in advance for the title. 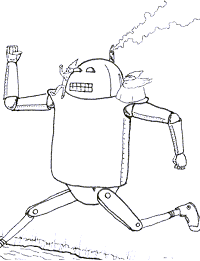 I’ve been hard at work lately getting back into cartooning. 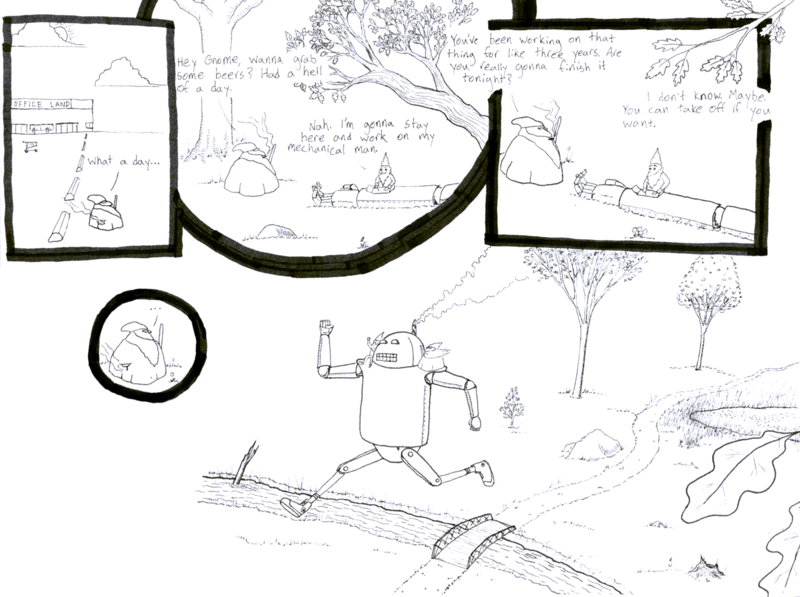 You might recall my character Melchior, the mildly indolent wizard mysteriously coexisting with the modern world. He’s a fellow I’ve been fiddling around with for years now, and I’m pretty exciting about where he seems to be taking me. A lot of it gets posted to instagram, if you care to follow it there. 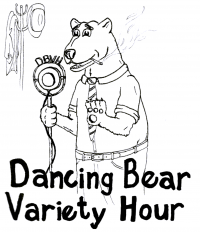 Dancing Bear Variety Hour season two is also picking up momentum, but that’s a different story. 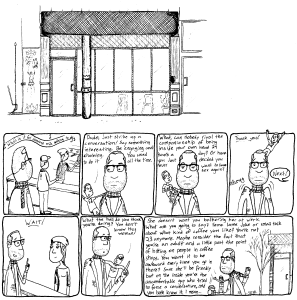 Over the last few weeks I’ve drawn a couple comics about my New Life in New York City. Maybe a little cliche? I don’t know. 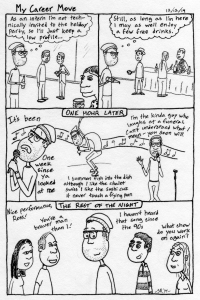 But it’s leading to comics, like this one, recounting one version of the recent WNYC holiday party. Sometimes I forget that part of the reason for maintaining a personal/creative website is telling people about the things I do. Well, this is today. Better late than never. To elaborate, I’m writing a five-act play for my MFA Thesis. 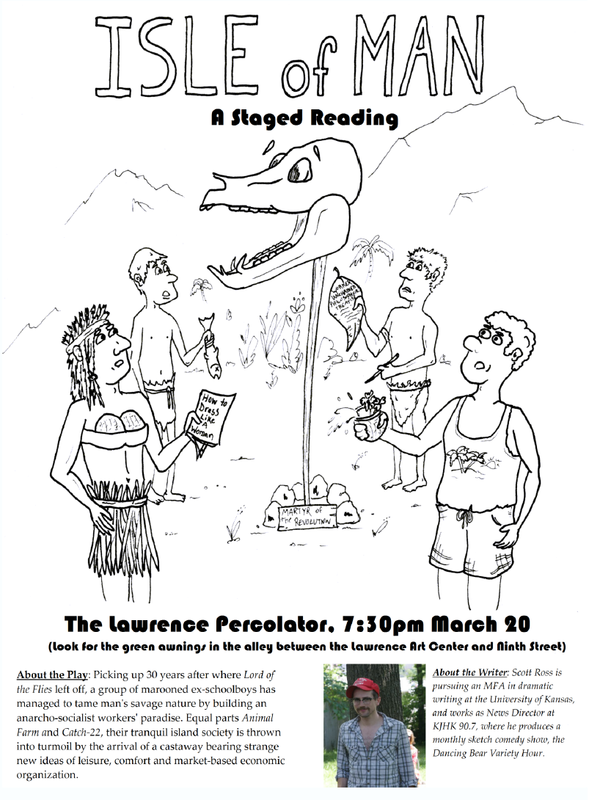 Tonight we’ll be reading the second act, in the desperate hope that it comes off as funny. The premise is a bunch of middle-aged men wearing loin-cloths and spouting Marxist slogans so if it isn’t, I have some serious reconsiderations to do.